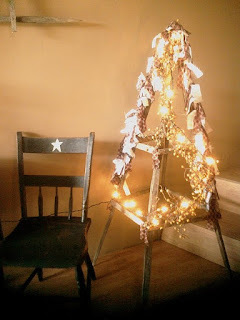 Here's a cute, primitive tobacco stick chair my husband made after I drew it out. I wanted something to just sit out in the yard to hold a flower pot for decoration. With lots of extra tobacco sticks laying around, I've found a few decorative uses for them. A bunch of old, weathered tobacco sticks I keep in a trash can ready for crafts. Here is some tobacco sticks I just laid out in the shape of stars. 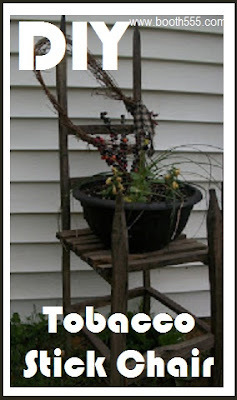 I made, (my husband nailed it, as I said where to, lol) this cute tobacco stick chair. For this one in the top photo, I put a flower pot in it and some grapevine twig garland wrapped at top for decoration. And a piece of homespun tied to it. It's gonna sit by the entry and hold a sign to welcome guests. I just love it. The top really needed another bar across it, but I'm not sure why we didn't add one? Oh well, I hung decorations on it. I also brushed on some streaks of black paint to prim it up a tad. 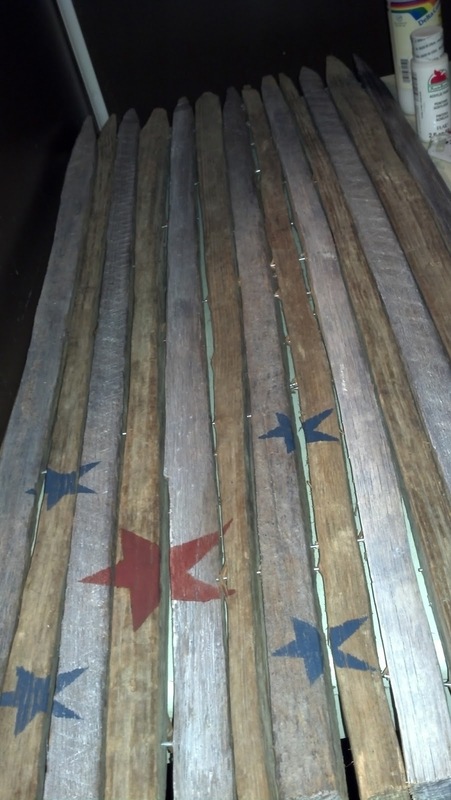 And attached a bit of grapevine along with a hand painted welcome sign to get it ready for sale in the winter month. Since many people ask me what tobacco sticks are, I thought I'd add this. Sorry, I grew up in KY and just thought everyone knew of them. 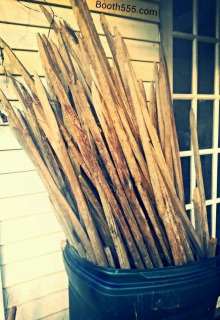 These old tobacco sticks were used in the fields when growing tobacco, and were speared through the tops of the stalks. They were essential for "hanging" the tobacco in the barns to cure. 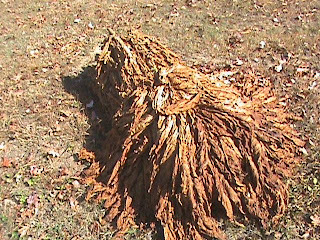 A lot of stalks of tobacco could be slid onto one tobacco stick. And then they were then hung up on the rafters in the barn to cure. 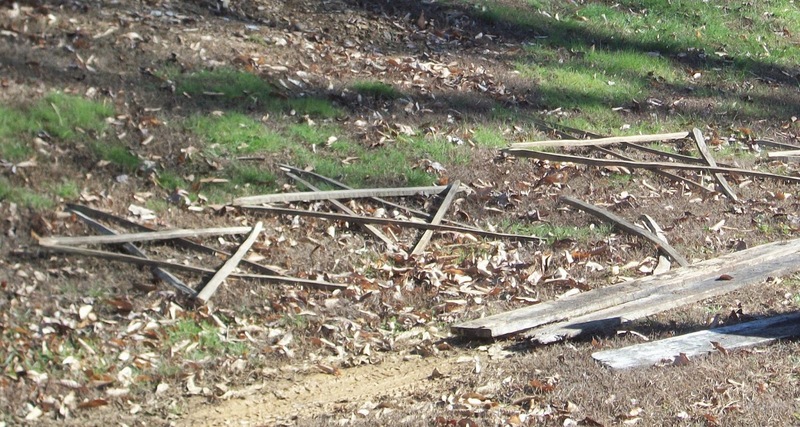 Finding a use for old tobacco sticks is pretty challenging. Yet I love the look of them indoors, so I like a challenge. They are a perfect touch for a cute country or prim styled home. The first thing I made turned out looking like a tree of some kind. 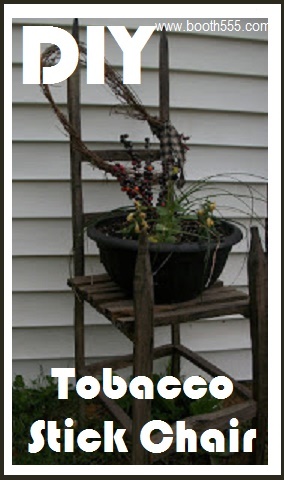 So I call it my tobacco stick tree. I decorate it with homemade rag ropes and lights of the season. I ended up putting this in my Peddlers Mall Booth #555, for $19.99. It'd be a great welcome to any guest at your home. You can change out the hanging sign to fit your mood or holiday! Since first making this one, I've started making them way slimmer and about 5ft tall and some even shorter, table top versions. These are so neat and I wouldn't have known what tobacco sticks were!